Summer is not the only time of year for gathering friends and family for fun times. There’s just something about fall that makes you want to have a bonfire and sit outside enjoying the cooler, crisp air. Whether it’s tailgating with the gang before your favorite team’s football game, or a night with friends on the deck, we have some great ideas for fall-inspired cocktails – and a mocktail too. Combine maple syrup, water and bitters in a glass, stirring until well blended. 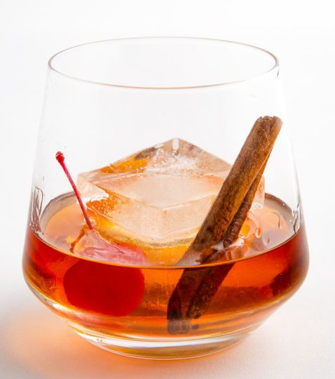 Add a few blocks of ice and the orange peel, then pour bourbon on top. 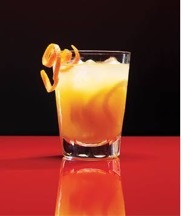 Try this warming cocktail courtesy of foodandwine.com, serves 8. Combine the cider, wine, honey, quince, rosemary, cinnamon, cloves, star anise and lemon zest in a large saucepan and simmer over low heat for 45 minutes. Strain the mulled cider and discard the solids. 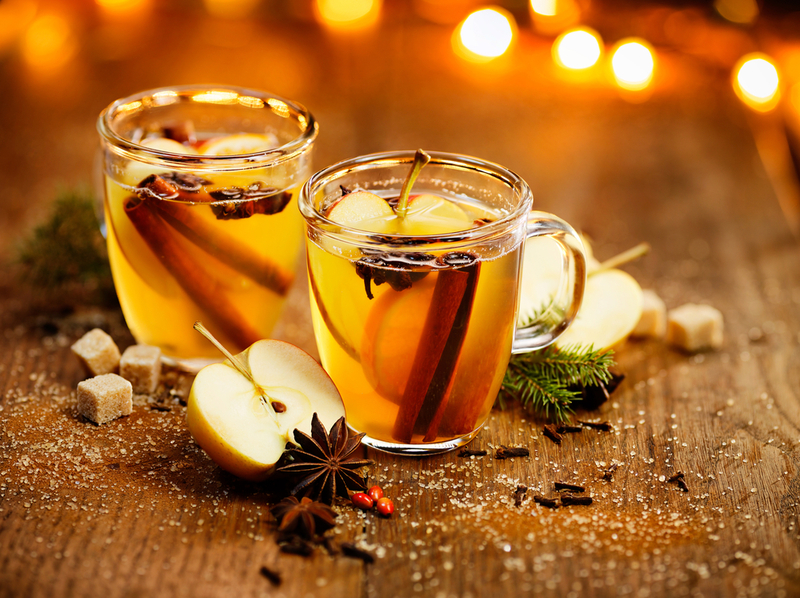 Serve the mulled cider warm. This one takes a little more time, but tastes amazing (everyone will want the recipe). The recipe serves 20 – perfect for those times when you’re hosting. Recipe courtesy of RealSimple.com. In a large saucepan, combine 2 quarts water, the fresh lemon juice, honey, and ginger; bring to a boil. Reduce heat and simmer for 5 minutes. Strain into a large bowl; let cool. Add the orange juice, pear nectar, bourbon, and lemons to the lemon syrup. Serve over ice. 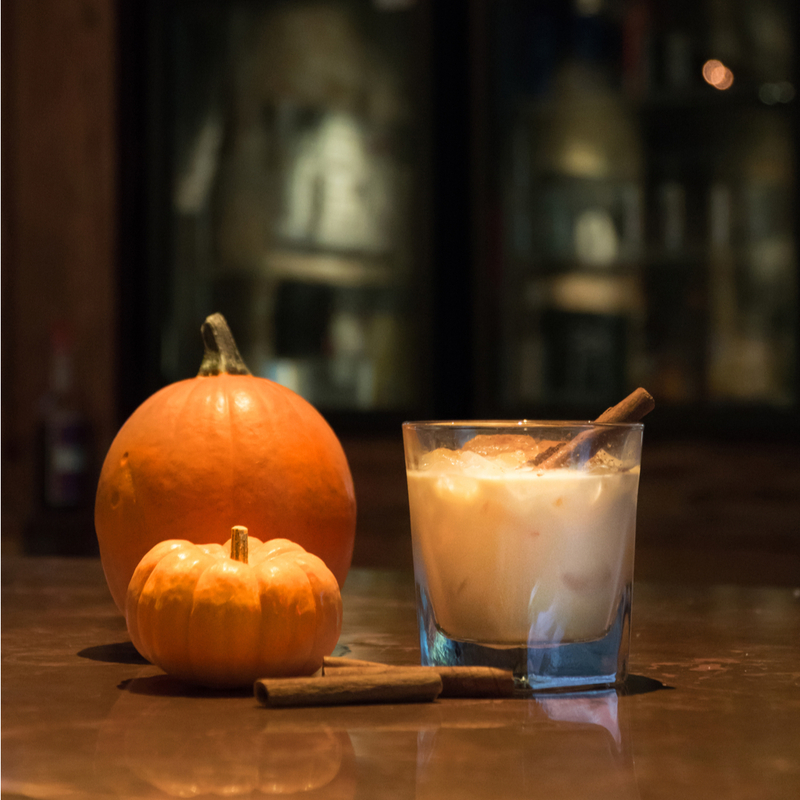 A delicious autumn twist on the classic White Russian cocktail courtesy of pizzazzerie.com. Add all ingredients to a cocktail shaker filled with ice. Shake and strain over ice. Garnish with a additional pinch of pumpkin pie spice. You only need two ingredients to make these – Champagne and apple cider. You can garnish the rim with caramel, sprinkles or cinnamon sugar. This one is a fun and creative spin on the Classic Mimosa. Recipe and image from The Cookie Rookie. 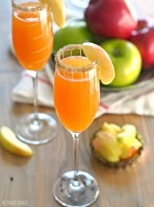 Pour each champagne glass 1/2 – 3/4 full with apple cider. 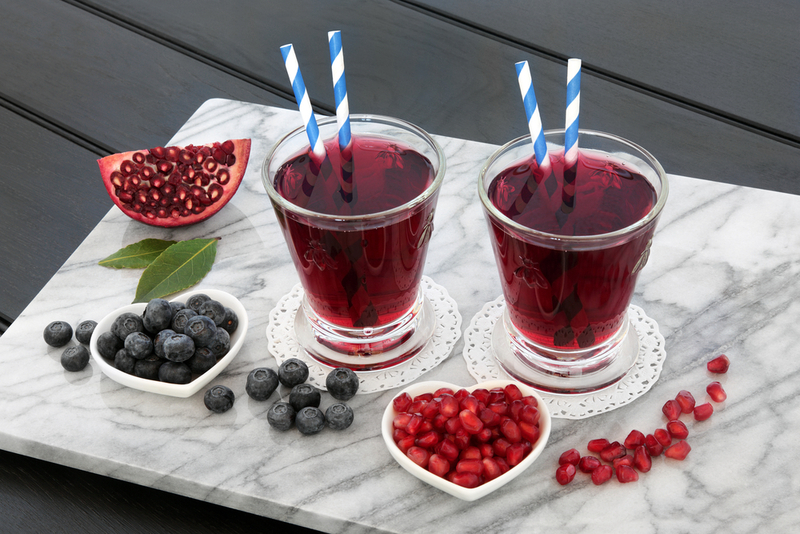 This beautiful beverage includes pomegranate juice and soda, white grape juice and frozen blueberries for a sweet-tart dose of antioxidants. Recipe courtesy of everydayannie.com. Add blueberries to a glass and mash slightly. Fill glass with ice, if desired. Combine the soda, pomegranate juice and white grape juice. Pour the mixture into the glass with the blueberries and garnish with a slice of lemon.